Mexican and international restaurant and bakery serving downtown Los Angeles for over 25 years! Menu includes, tacos, burritos, burgers, pizza, Mediterranean food, pastries, dessert items, coffee and beverages. 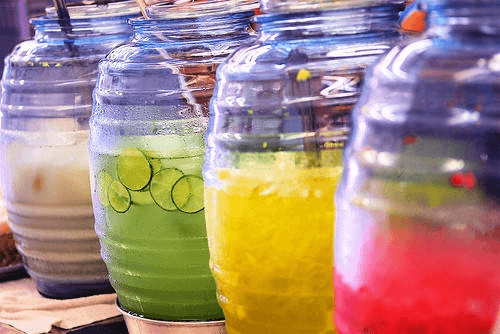 Outdoor street sale of fruit beverages adds an additional $700-$800 in sales each weekend. Good delivery sales from downtown LA residents and offices. Full time manager runs store. Well equipped kitchen includes: 2 hoods, one 6ft for pizza oven, one 10ft hood for cook line, walk in cooler, walk in freezer, 2 Baker's Pride pizza ovens, 2 refrigerators, prep station, grease interceptor, 2 door fridge, char-broiler, 24" grill, 4 burner stove, double fryer, 3 door refrigerated prep station, rice cooker, microwave, ice machine, 2 food carts, outdoor beverage service cart, ice cream case, blender, slicer, coffee brewer, espresso machine, 8 ft refrigerated work table, 2 tortilla warmers. Front of the house includes: refrigerated display case, 8 ft refrigerated prep station, 6 foot warming table, 4 SS work tables, 23 dining tables and 50 chairs. Clover POS system, stereo system, security system. Sorry No Alcohol.